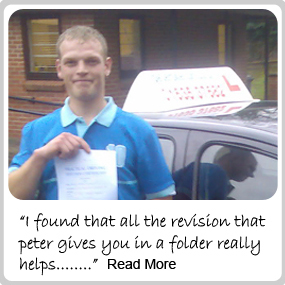 Peter Skelton or your driving instructor can provide you with Gift Vouchers for any occasion for example; Christmas and Birthdays. Our Driving School can cover the whole of Newbury and all of the surrounding areas. If you purchase a voucher for someone, bear in mind that when they start their driving lessons, we are happy for you to sit in. By doing so, you will learn the sort of things that our driving school is teaching them. Therefore when you do some practicing in your own car you will be up to date with all the teaching methods and you will be better able to help the pupil progress. Ask your driving instructor regarding private practice. Remember that our driving instructor covers Newbury and all of the surrounding areas. Please check with us if you are not sure if we cover your area or not. Please feel free to contact us anytime to discuss your requirements in greater detail.